When the Department of Justice and Office of the Inspector General find one vendor out of compliance, it’s only natural that they widen the scope to look at others in the same sector. Here’s what hospitals need to know now. Are EHR vendors the new villains of healthcare? A major electronic health record software player, eClinicalWorks, just got busted for falsely obtaining certification with the meaningful use criteria through its EHR — and suggestions immediately arose that the case was a shot-across-the-bow for the entire electronic health records industry. History shows that similar federal investigations tend to widen in scope. 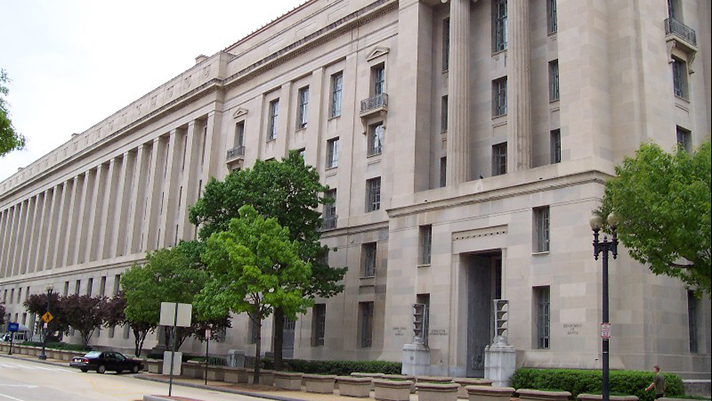 DOJ hot on the trail of more EHR vendors? Healthcare IT News called the first investigator listed on the eClinicalWorks settlement and asked point blank: Should hospitals executives expect the DOJ to investigate EHR vendors other than eClinicalWorks? Whereas Ramsey has not heard of any active investigations he said that he doesn’t doubt that the Department of Justice and Office of the Inspector General are scrutinizing all the EHR vendors now. And given that the meaningful use EHR program enabled the federal government to disburse more than $35 billion dollars, Ramsey said, there is plenty of money for federal prosecutors to pursue. Electronic health records vendors were already under fire business practices such as information blocking. And now that one major vendor has been caught cheating meaningful use criteria that blame will grow hotter than ever before. Indeed there are plenty of reasons EHR vendors could be singled out for scorn: widespread complaints about poorly-designed systems, causing physician burnout, now this news of skirting of meaningful use regulations and, perhaps what will become worst of all, the practice of information blocking. The 21st Century Cures Act, in fact, has provisions that could ultimately make many EHR vendors look a lot like eClinicalWorks does right about now. The law grants Health and Human Services Secretary Tom Price the power to impose stiff fines for data blocking: Up to $1 million for every single incident. How widespread is the corruption? The truth: We just don’t know. And as a counterpoint, there are some healthcare technologists who think the federal government should take some of the responsibility because it oversees the meaningful use reimbursement program certifying any and all software products that enable hospitals to earn EHR incentives. “Blaming eClinicalWorks and other EHR vendors for this sad situation is shortsighted, unless one also acknowledges the role of the entire meaningful use program, in distorting not just the EHR market, but also the ethical and moral principles of many EHR vendors,” said Chuck Webster, MD, President of EHR Workflow. “It was an expensive mistake, the unintended consequences of which we will be living with for many more years." Another part of the problem is that EHR vendors can effectively demonstrate specific functionalities during the certification process that do not necessarily perform that same way in production environments, according to Jim Tate, President and founder of EMR Advocate, which consults with numerous EHR companies during the certification process. “There is a lot of risk out there for some of the major vendors,” Tate said. Now that whistleblower Brendan Delaney has collected $30 million from the eClinicalWorks settlement there is reason to think other whistleblowers might step forward and federal investigators might pursue additional vendors. “This sort of bounty hunting is now incentivized — and that’s a good thing,” said Justin Sleeper, a former eClinicalWorks employee who is now a health IT consultant. That is not to call Delaney a bounty hunter. Indeed, as the healthcare attorney Ramsey noted whistleblowers, particularly in healthcare where patient lives are at stake, are usually in it for more than the money. But one can imagine that the size of this reward has gotten the attention of other EHR users and hospital employees, who could be imagining similarly lucrative payouts. Associate Editor Jessica Davis contributed to this report.